…and they were beautiful! 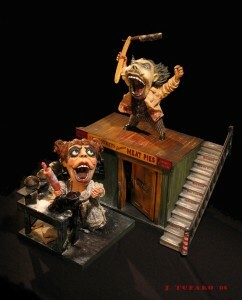 Congratulations to the Butler Opera Center on a successful and moving performance of Sweeney Todd! One more to go, Sunday afternoon at 4 pm at McCullough Theater on the UT campus in Austin. Last night you couldn’t say “no one in the chair” – the theater was full and promises to be tomorrow as well. Don’t miss it! So proud of our singers (everything from growly lady chest tones to Pirelli’s high C) and orchestra. Thanks to Kelly Kuo and Josh Miller for their great work as conductor and director. Copyright © 2019 Kathleen Kelly. All Rights Reserved.